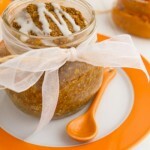 Pumpkin pie infused breakfast cake made with quinoa flakes, pumpkin and chia seeds. Delicious, quick, gluten-free, and vegan, too! Allow to rest for 1 minute before tipping over onto a plate and drizzling with coconut butter. Or, prepare in jar as I did with this version. 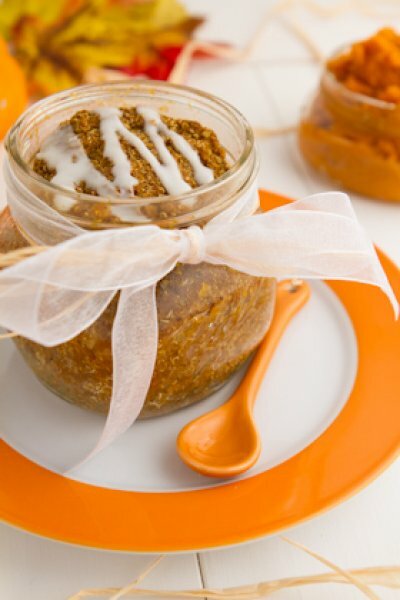 If you don’t have pumpkin spice, you can use: 1 teaspoon ground cinnamon, 1/2 teaspoon ground ginger, 1/4 teaspoon ground nutmeg and 1/4 teaspoon all spice instead.